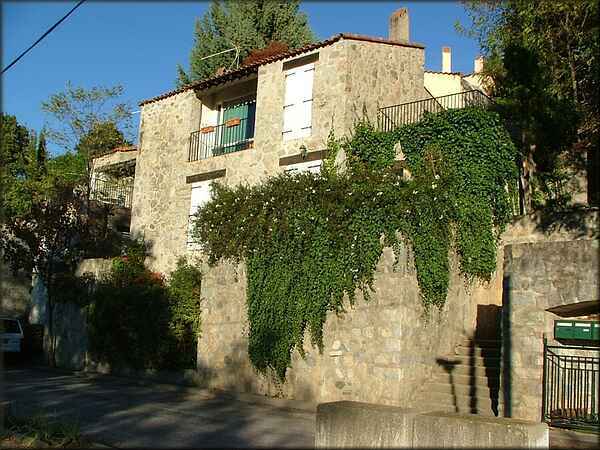 Our 1 and 2-bedroom split-level cottages are part of the charming Catalan hamlet known as "Ecovillage Canigou / Village Catalan", located in the foothills of the Canigou mountain (2785 m), within 5 minutes walk of Vernet-les-Bains spa resort. With 300 days of sunshine per year and no pollution, it has the healthiest climate in France; Rudyard Kipling named it "Paradise of the Pyrenees". It is rich on history, culture and natural beauty. Ground level: hall, WC, lounge with fireplace and exposed beams, small kitchen, west-facing terrace with spectacular views of the mountains, the valley and the village. Lower level: 2 bedrooms, bathroom fitted with bathtub/shower and bidet, hall. General layout: 1 bedroom with double bed 190x140 cm, 1 twin bedroom with 2 single beds 190x90 cm. There is a double convertible sofa bed in the lounge. Sleeps 4/6 persons.